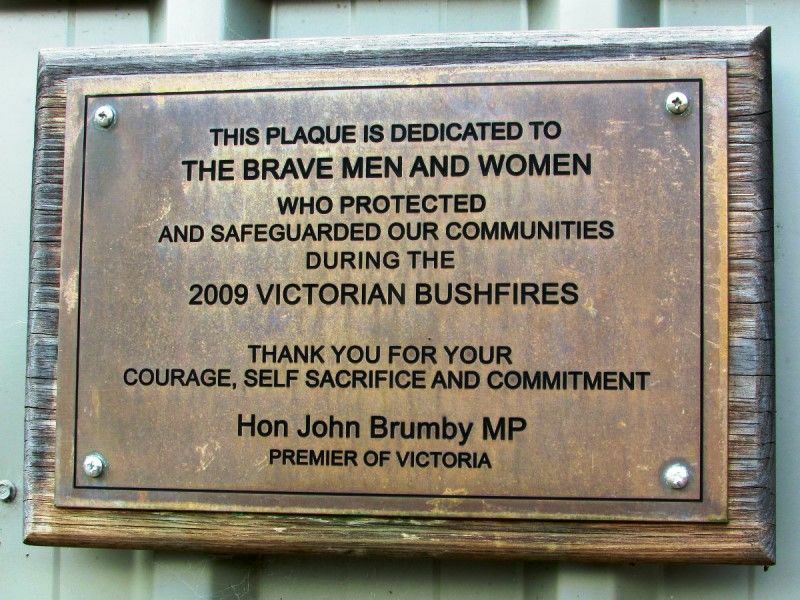 A plaque commemorates the women and men who protected Victorian communities during the 2009 bushfires. 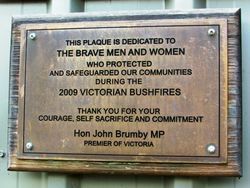 The 2009 Victorian bushfires also called Black Saturday, were more than 400 bushfires that started in Victoria, Australia on February 7, 2009. The fires caused Australia's highest ever loss of life from a bushfire. Police say that 173 people died,and 100 people were taken to hospitals with bad burns. At first the death toll was thought to be 210, but forensic tests have shown there were only 173 people killed. The fires burnt down at least 2,029 homes, 3,500 buildings in total and damaged thousands more. 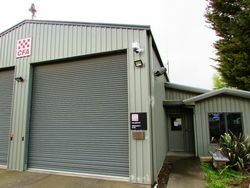 Many towns north-east of the state capital Melbourne were badly damaged or almost completely destroyed, including the Victorian towns of Kinglake, Marysville, Narbethong, Strathewen, and Flowerdale. Many houses in the Victorian towns of Steels Creek, Humevale, Wandong, St Andrews, Callignee, and Koornalla were also destroyed or damaged. There were people killed at each town. The fires affected 78 towns and left about 7,500 people homeless. More than 4,000 firemen and women worked to control and stop the fires. They were still burning more than two weeks after they started.